Plasmas comprise more than 99% of the observable universe. They are important in many technologies and are key potential sources for fusion power. Atomic and radiation physics is critical for the diagnosis, observation and simulation of astrophysical and laboratory plasmas, and plasma physicists working in a range of areas from astrophysics, magnetic fusion, and inertial fusion utilise atomic and radiation physics to interpret measurements. This text develops the physics of emission, absorption and interaction of light in astrophysics and in laboratory plasmas from first principles using the physics of various fields of study including quantum mechanics, electricity and magnetism, and statistical physics. 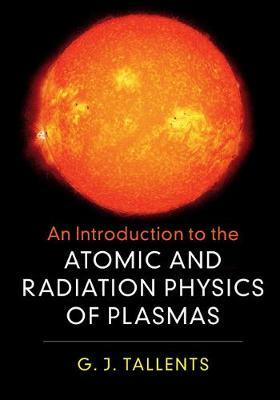 Linking undergraduate level atomic and radiation physics with the advanced material required for postgraduate study and research, this text adopts a highly pedagogical approach and includes numerous exercises within each chapter for students to reinforce their understanding of the key concepts.